Much of the world still has an outdated perception of today’s Mexico. 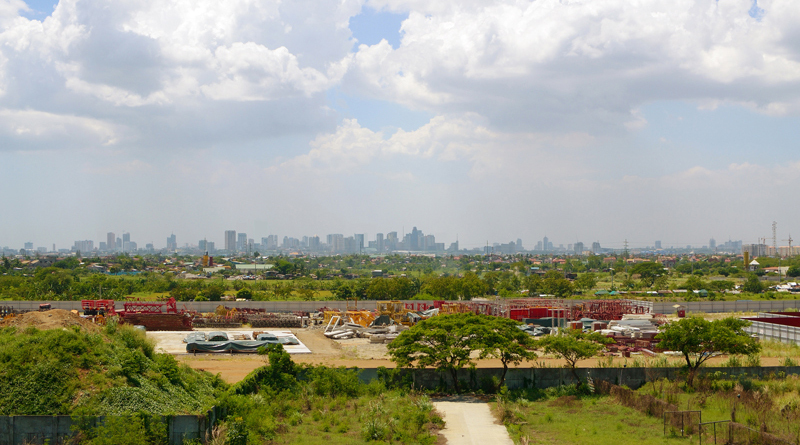 Its third-world country days are long over! According to a U.S. review of emerging economies, it is predicted that by 2050, Mexico will be among the top five largest economies in the world. 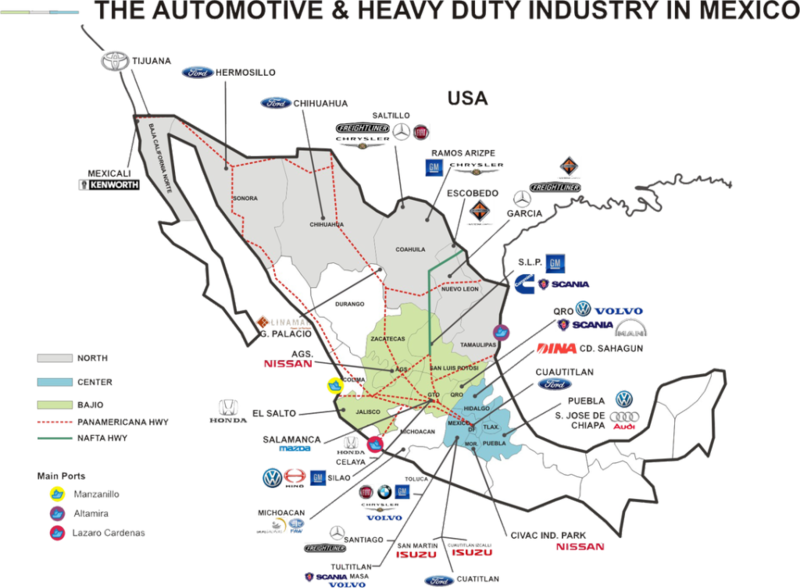 Already, automotive companies and other large industries from the U.S., Japan and Europe have shifted their assembly and manufacturing plants to Mexico to take advantage of Mexico’s strategic location, low labor costs and NAFTA. Mexico now has 44 free-trade agreements in place, more than any other country in the world and more than the U.S. (20) and China (18) combined. In addition to Nafta, Mexico has free-trade agreements with Japan, the European Union, Norway, Iceland, Switzerland, Liechtenstein, and virtually every country in Latin America. Mexico has also become one of the world’s leading exporters. In 2014 exports from Mexico amounted to US$397.7 billion, up 33.4% since 2010. 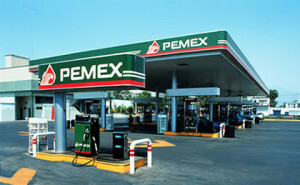 Topping the list of Mexico’s exports are: 1) Vehicles, 2) Electronic equipment and, 3) Machinery, engines and pumps. Despite some fluctuations, Mexico has experienced monetary stability for well over a decade, and this is attracting foreign investment — $22.6 billion in foreign direct investment in 2014. About 83 percent of that investment is related to manufacturing. While labor and shipping costs are rising in much of the world, Mexico has low labor costs, as well as cheaper and faster transportation due to its close proximity to North American markets. In fact, consulting firm AlixPartners has found Mexico to be the cheapest place in the world to manufacture products for the U.S. market, with India second, and China and Brazil being the third and fourth cheapest places. A growing number of manufacturers from China and other countries are relocating their facilities to Mexico in order to take advantage of Mexico’s labor and shipping advantages. In March of this year, U.S.-based Caterpillar announced that it will move forward with plans for two production lines in Mexico. Other high-profile relocations in recent years include Hershey’s, Chrysler, Stanley, Black & Decker, Flambeau, Superior Industries International, and Phase 2 Medical, accompanied by immense expansions by PepsiCo and Nestle. 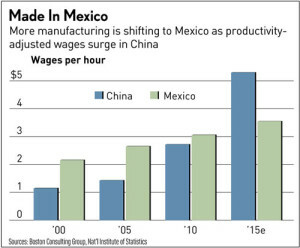 A recent report by the Boston Consulting Group called the U.S. and Mexico the “rising global stars” of worldwide manufacturing.“ “Mexico is fundamentally a sophisticated manufacturing economy that is growing at a very acceptable rate when compared to other emerging market economies,” wrote Andres Rozental, a senior fellow at the Brookings Institution, which is ranked as the world’s No. 1 think tank. Perhaps the biggest news regarding Mexico’s economic prospects comes from a reforms package approved in August of 2014 by President Peña Nieto. Reforms address education, fiscal reform, and reduction in union power. Additionally, and most importantly, it opened up the state-owned oil giant Pemex to foreign or private investment for the first time in 75 years. According to a Washington Times article, the energy reforms could ultimately make Mexico and North America the world leader in oil production, potentially the new “Persian Gulf” for oil. As stated, job growth is particularly strong in the manufacturing and export sector, and with more jobs at home, Mexican immigration to the U.S. has fallen to a trickle. With a labor force of approximately 54 million and an unemployment rate well under 5% (the lowest in all of Latin America), Mexico is firmly established as an upper middle-income country. In fact, according to the International Monetary Fund, Mexico had the second-highest Gross National Income per capita in Latin America. 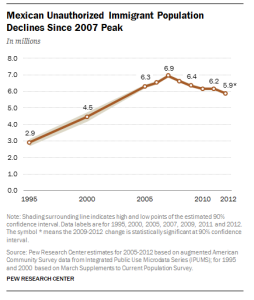 Around 40% of the country now qualify as middle class with a big appetite for American products. According to the U.S. Census Bureau, U.S. sales to Mexico were over $226 billion last year. 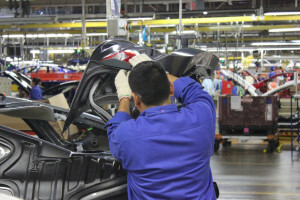 As a newly industrialized country, Mexico is the largest North American auto producing nation, surpassing Canada and the U.S. Currently, Mexico is making three million vehicles a year, and that number is rising. With more than $19 billion in new investments, Mexico is now the world’s 6th largest producer of heavy vehicles, and the 7th largest producer of light vehicles. GM, Ford, Chrysler, Volkswagen, Nissan, Toyota, Honda, BMW, Mercedes-Benz, Fiat, Audi and Mazda all operate or are building plants in Mexico. In addition, Mexico has recently begun producing armored vehicles. Some of the vehicles built in Mexico are bought by the country’s expanding middle class; but about 80 percent are for export, primarily to the United States. Despite lingering violence related to drug gangs (much of that near the U.S. border), tourism and tourism revenues continue to rise, reports the Mexican National Institute of Statistics and Geography (INEGI). During the first quarter of 2015, tourism activity rose by 3.5% compared to the same period last year, while spending by foreign tourists rose 25 percent during this period. When comparing 2014 to the previous year, Mexico welcomed 29.1 million foreign visitors in 2014 — up 7 percent from the previous year, and revenues from international tourists totaled $16.25 billion during this one-year period. Although not without its problems and challenges, Mexico clearly appears to be rapidly advancing, evolving and exhibiting all the earmarks of a future world power.